United Launch Alliance (ULA) have recruited Hensel Phelps to design the modifications to their Atlas V pad at Space Launch Complete 41 (SLC-41) at Cape Canaveral ahead of hosting human rated vehicles. 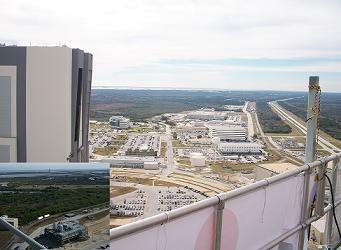 The Orlando company previously constructed the Ares Mobile Launcher (ML), which is also set to be modified to host the Space Launch System (SLS). The United Launch Alliance (ULA) are currently planning to launch two commercial spacecraft to destinations such as the International Space Station via their reliable Atlas V rocket – namely Boeing’s CST-100 and SNC’s Dream Chaser, both of which are currently under development within NASA’s Commercial Crew Integrated Capability (CCiCap) program. The challenge with the pad at SLC-41 mainly relates to crew access and the Emergency Egress System (EES) for both the astronauts and the pad workers. To meet these challenges, ULA have selected Hensel Phelps Construction Co. of Orlando to provide program management contractor support to the efforts, resulting in a 21-month effort to work on the the management of the design, requirements development, cost and schedule projections, and risk mitigation for modifications to the launch facilities for commercial crew operations. “Hensel Phelps brings significant experience working major construction projects including the original construction for Atlas V at SLC-41, as well as Atlas modifications at SLC-3 in California,” said Dr. George Sowers, ULA vice president of Human Launch Services. Hensel Phelps will assist with the design and development of the crew access tower and the crew access arm which will provide access to the commercial crew space vehicle for cargo and crew loading. 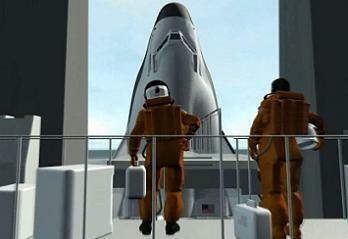 The project – which could ultimately create 250-300 much-needed skilled aerospace and construction jobs in Brevard County – already has a number of notional views into what the pad modifications may eventually look like, such as the access tower elevator to a platform deck, allowing the astronauts to walk to the hatch of the spacecraft prior to ingress. The announcement, not least on the new jobs, was welcomed by NASA Commercial Crew Program Manager Ed Mango. “One year after the Space Shuttle Program, American companies are making critical progress on modern spacecraft and rockets that will enable the next generation of human spaceflight,” Mango said. “NASA’s Commercial Crew Program is fostering new national capabilities for spacecraft, launch vehicles, flight operations and ground operations to achieve safe, reliable and cost-effective access to and from the International Space Station and low-Earth orbit. 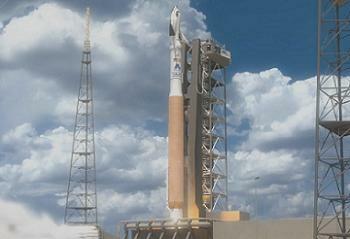 These advances will enable a launch of astronauts from U.S. soil in the next five years. The company will also work on the Emergency Egress System (EES) that will provide the flight crew and support personnel with a method to quickly evacuate in the unlikely event of a contingency event and a safe haven which will provide a safe environment for the crew and support personnel until they can be evacuated to another location. No notional imagery has been created for the EES – although numerous options are already under evaluation, including a system similar to that used on the Space Shuttle pads at 39A and 39B. “We are still looking at different options for emergency egress. Detailed hazard analysis of the launch operations is a key determinant and is being refined,” added Dr George Sowers, during a Q&A session with NASASpaceFlight.com members. 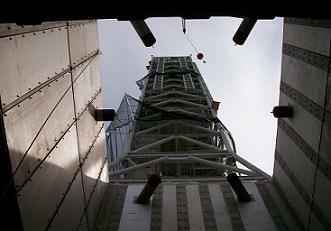 The ML – designed by RS&H (base and structure), along with ASRC Aerospace Corporation (prop systems etc.) – consists of the main support structure that comprises the base, tower and facility ground support systems, which include power, communications, conditioned air, water for cooling, wash-down, and was designed with ignition over-pressure protection in mind. Hensel Phelps engineers worked on the structure at the mobile launcher park site area just north of the VAB, with trestles and girders arriving by barge in February of 2009, beginning the opening phase of work to create a base platform – one which is lighter than the current Mobile Launch Platforms (MLPs) that used to host the Space Shuttle. With the giant Launch Umbilical Tower (LUT), the total weight of the structure is around 9.5 million pounds, compared to the 8.2 million pounds for just the Shuttle’s MLP. Fabrication of the 345-foot LUT begin in May of 2009, in preparation for being placed on top of the ML’s platform as the LUT’s base, prior to the addition of nine additional sections via a giant crane at the build site. This was followed by the installation of the launch mounts – highly specific for only the since-cancelled Ares I vehicle – on the platform in the Spring of 2010. Although the ML is highly suited to the SLS vehicle, modifications – mainly to the Ares-specific elements of the structure – will be required, ahead of the Heavy Lift Launch Vehicle’s debut in 2017. This would will be in addition to the umbilical set up required for SLS. As such KSC managers have now sent out a request for information about potential sources for the labor, equipment, and materials to deconstruct and modify the existing Mobile Launcher for SLS – work that will be carried out at the ML Park Site 3 near the Vehicle Assembly Building (VAB). “The work consists of removal and storage of existing system components, equipment, and materials for reuse/reinstallation; demolition of system components and structure not to be reused; modification of structural elements and installation of new structural elements; reinstallation of salvaged equipment and materials, and installation of new systems, equipment, and materials,” noted the information. “Heavy structural demolition and construction is to be performed on approximately half of the existing ML base (MLB). Temporary foundations and shoring will be required to support the remaining MLB and ML tower (MLT) structure during deconstruction/demolition and reconstruction. The information added that modifications to the MLT Electrical Equipment Rooms include removal and modification of Air Conditioning ductwork, and electrical and communication cable trays, and relocation of lighting fixtures. 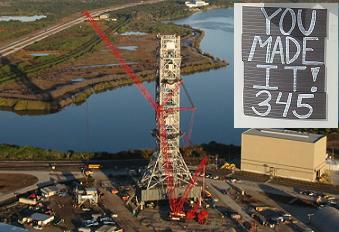 The ML was taken for a test trip to Pad 39B this year, marking its full transition to the SLS program. 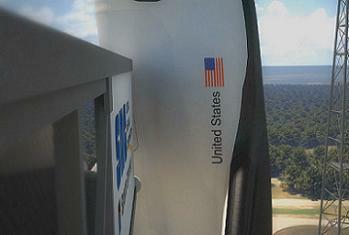 The ML was also suited to the Liberty launch vehicle, which lost out on NASA funding via the CCiCAP process. ATK’s in-line vehicle may still launch, and from KSC, but is now focused on cargo services. Such launches would take place from a modified Mobile Launch Platform (MLP), previously employed with the Space Shuttle Program (SSP).